Have you heard this quote before? Though it’s not used too commonly, it has a lot of meaning to me. To tell you why, I’m going to have to share a bit of a history lesson. It’s easy to think that Amsterdam, the bicycle capital of the world, has always been a mecca for cycling, but in the 1960s, it was a very different place. Just like in North America and the rest of the western world, the 1960s were the heyday of automobile-centric planning – even in Amsterdam. Streets were widened, and canals were filled in to make space for the growing number of cars. Highways were proposed to intersect the historic city, with plans calling for swaths of beautiful buildings to be demolished to give way for the rise of the automobile. But unlike in other cities, Amsterdammers were hardly ready to forego their bicycles to the sweeping wave of automobility. They protested and resisted by the thousands, forming countermovements including Stop de Kindermoord, or “stop the child murder”, which sought to bring safety and justice to the city’s streets in the wake of hundreds of child deaths each year at the hands of the car. Another rebellion came from an anarchist group called Provo, which saw the car as “capitalist private property” and “authoritarian”. To “free” Amsterdammers from the “peril” of the car, Provo created the White Bicycle Plan, which envisioned thousands of white painted bicycles placed around the city, free for anyone to use. The White Bicycle not only challenged the way people thought of cars, it also changed the way people thought about cycling. By taking private property and positioning it as a public asset, the bicycle itself was depersonalized, and in doing so, became nothing more than an element of the city, like a bench, a sidewalk, or a streetlight. In the words of Provo: “a bicycle is something, but almost nothing”. Though the White Bike program never achieved its full vision, this experiment and model was applied to more cities over the years, and laid the foundation for modern-day bike-sharing programs, which now span across the world. What is the significance of this story? The inspiration and results of Provo’s experiment stand to teach us some important lessons about bikes and cycling today. The original vision for bike-sharing, in Provo’s mind, was quite simple: free and universal transportation for all. In the modern day, this seems to be forgotten, as bicycle-sharing programs are increasingly pressured by city governments to be revenue-neutral, and private, for-profit bike share companies have emerged to compete for a share of the pie. 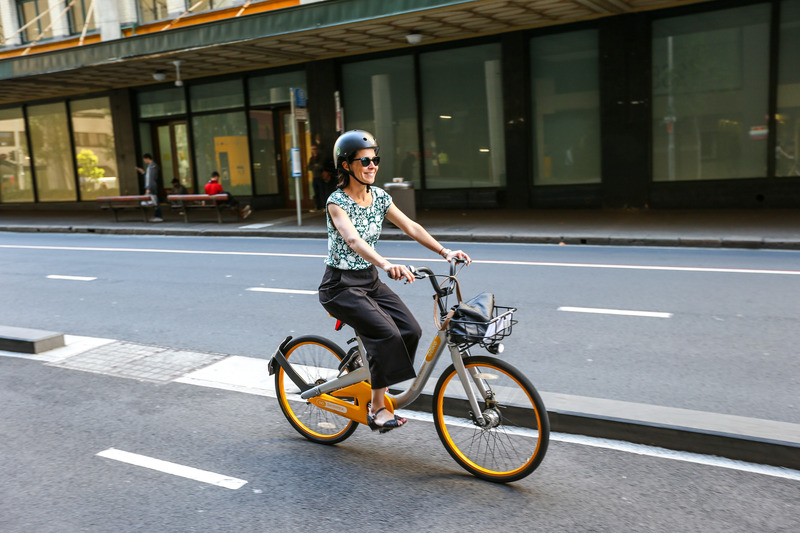 Bike-sharing systems are not spread equitably either; research has shown that its users skew higher-income and white, and quite often the communities which could benefit the most from bike-sharing are left out of the plans. Provo’s White Bicycle Movement was founded on the belief that a bicycle is a basic commodity, which is neither impressive nor extraordinary. Today, this cannot be said for most bikes in North America, which are much more commonly an expression of someone’s personality and regularly retail for several hundred, if not thousands, of dollars. Bicycle marketing is mainly done by sport cycling manufacturers, and parallels car marketing in many ways, emphasizing constant technology improvements, and the need to buy “this year’s model” or risk being left behind. It is ironic that while Provo sought to use bicycles as a tool to fight capitalism and automobility, today bicycles all over the world are often being sold under the same capitalist principles as cars. People riding bikes in Amsterdam are much more coexistent with the city than those traveling by car, who are not even visible to the eye. Finally, it’s clear that bicycles and cars are fundamentally different modes of transportation. The historical experience of Amsterdam has shown that while bicycles are highly compatible with urban life, cars have threatened to destroy its very existence. Bicycles are an essential component of the human transportation system and enable their riders blend seamlessly into the urban environment. In doing so, the bicycle itself becomes less important, and its rider is empowered.